The size of the crowd at each of the sights can be fairly outrageous. You should be prepared to be approached by people asking for money or trying to sell you trinkets, and make sure you keep your belongings safe as there are pickpockets hanging around major landmarks. The local currency is the Indian Rupee. The exchange rate is approximately 60 INR to 1 USD – most places only accept cash, so make sure you get some money out or exchange a small amount when you arrive. Alternatively you can bring your international credit or debit card to withdraw cash – make sure your bank is notified of your travel plans in advance so they don’t freeze your card for suspicious activity. There are several banks and ATMs around New Delhi, but don’t be surprised if some ATMs run out of cash. 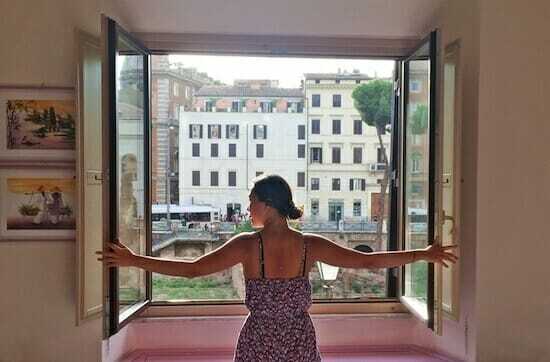 If you are a female traveler, leave your shorts, tube tops and anything exposing your arms and legs at home. Because it can get quite chilly in the mornings and evenings (yes, it does get cold in India! ), you should bring a light jacket and scarf as well. In order to get a local SIM card, you will need to provide a copy of your passport and passport photo. Airtel has a booth in the arrivals hall at Delhi airport and you can purchase a local SIM card for 1100 Rupees (or less if you visit an Airtel shop in the city). You get 1 GB a day and the SIM is valid for 30 days. The visa process is a pain, so get the application process started as early as possible. If you hold a passport from one of the countries on the “approved” list then you are eligible to apply for an e-visa. The official e-visa website is located here and the country-specific visa fees can be checked here. The e-visas are valid for 60 days from the date of arrival in India. It is not recommended to overstay your visa in India, as there are reports of people being blacklisted or heavily fined for staying past their visa validity.If you hold a passport of a country not on the pre-approved e-visa list, you will need to visit your local consulate and go through the traditional offline visa application process. 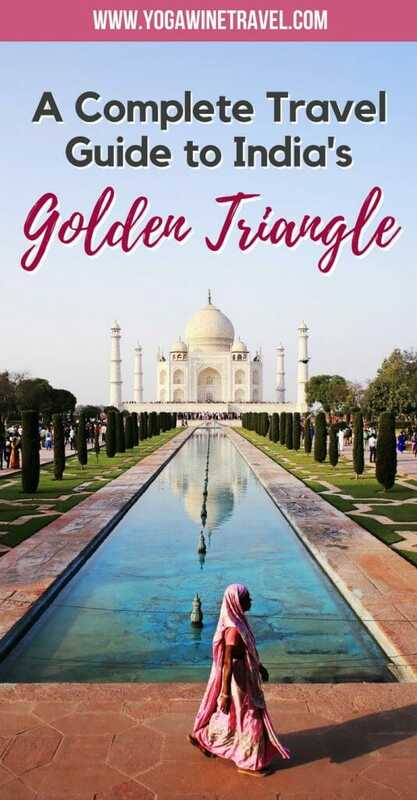 While I am definitely not normally one to join tours, I only had a few days to see the Golden Triangle before heading to Bangalore to hop on the Golden Chariot, a luxury train ride through the southern region. I 1) didn’t want to worry about how to get from place to place, 2) couldn’t be bothered trying to figure out how to get into the various monuments, and 3) didn’t want to be herded onto a tourist bus with 40 other people, so opted to go with a private guided tour. In my opinion, this is probably the most efficient and comfortable ways to visit India’s Golden Triangle. Did you know? We did our Golden Triangle tour by car, but you can also see the Golden Triangle aboard one of India’s luxury trains! The Maharaja’s Express and Palace on Wheels both travel through Delhi, Jaipur and Agra. 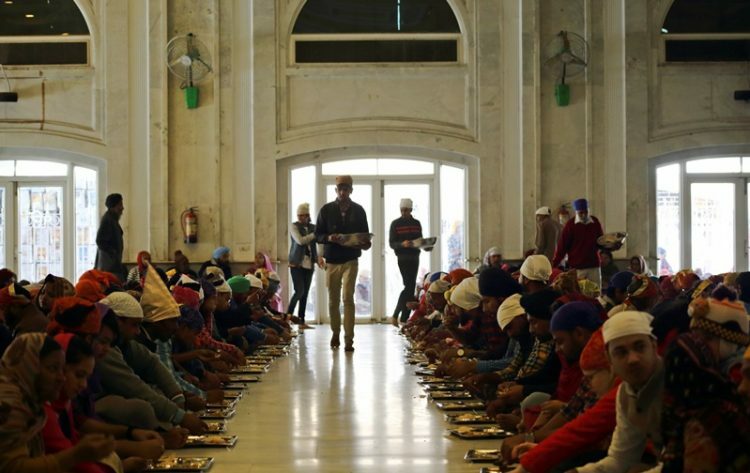 Read on for 12 things you should know before traveling on a luxury train through India. It can be really overwhelming when you’re researching Golden Triangle tour packages (especially luxury India tours), and one of the most difficult things about trying to find a good tour is that many tour companies are slow to respond, or completely non-responsive. I think I must have contacted 10 different Indian tour agencies before I ended up going with Top Indian Holidays, who were extremely professional and very responsive over e-mail. * If you’re a longtime reader then you’ll know that I only recommend services, hotels and experiences that I have had positive personal experiences with. Just so you know, we were paying customers with Top Indian Holidays and I was not compensated for this article. 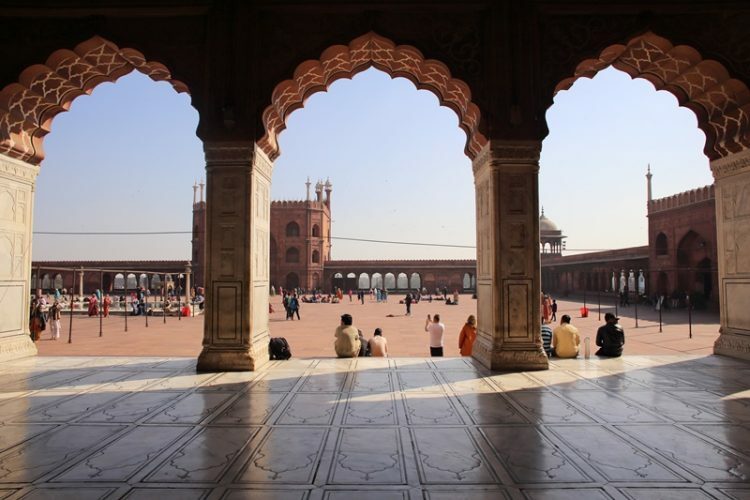 I traveled to India with my mother, and we ended up selecting a slightly customized 5 day tour through New Delhi, Jaipur and Agra (in that order, I’ll explain why soon) and paid approximately US$850 per person to stay for five nights in some of the top hotels in those cities. This rate included all of our hotel stays, private luxury SUV and driver throughout the trip and experienced local guides. Top Indian Holidays were extremely helpful and answered all my questions about each of the cities and the sights, and also made suggestions for other things to do outside of the standard itinerary. The guides were knowledgeable about the history and fun factoids about each of the locations, and I truly don’t believe I would have enjoyed our journey around the Golden Triangle as much without their insights. One of my personal pet peeves is when I feel like I’m being herded around like cattle – this was not the case on our private tour; our guides would give us an in-depth overview of the history and significance about the locations, point us towards the highlights and then wait for us to finish wandering around. At no point did we ever feel rushed, and were given plenty of time to soak in the sights and take photos. 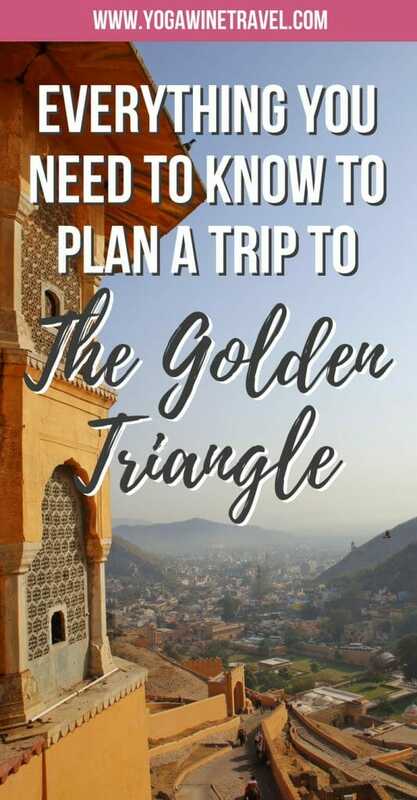 Is a Golden Triangle tour right for me? You don’t mind spending more to make sure the trip goes off without a hitch. A few private drivers quoted 250-300 USD for the cost of transportation with no hotels included, so that’s another option if you’re on a budget. It’s definitely not for you if you are a slow travel kind of person, because the daily itineraries are packed to the brim. We often started sightseeing in the morning at 8 or 9 am, and finished in the early evening. 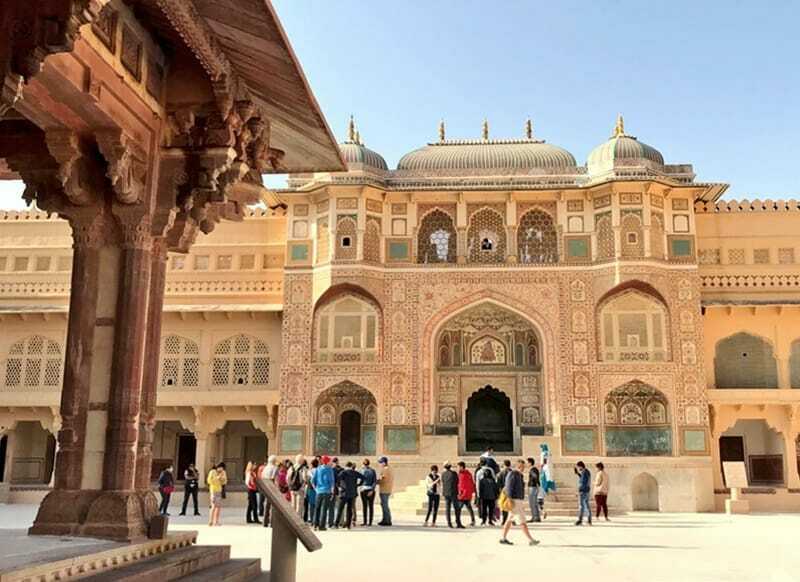 Golden Triangle tour itinerary: We visited Delhi, Jaipur and Agra in that order, but most standard tours will take you from Delhi to Agra to Jaipur. The reason why we did it this way is because we would have been in Agra on a Friday, which is the one day during the week that the Taj Mahal is closed. Luckily, Top Indian Holidays suggested this easy fix so that we didn’t end up in Agra and missing the Taj Mahal. 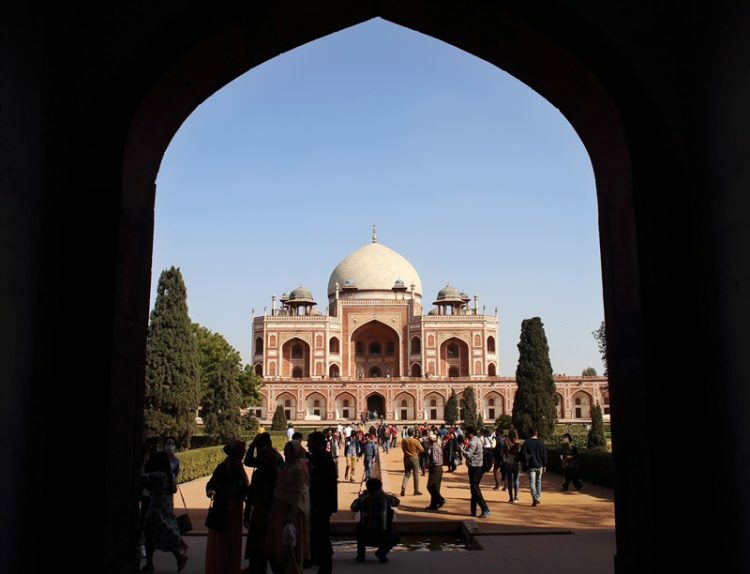 More often than not, your Golden Triangle itinerary will begin in Delhi. We started our trip here and was picked up at the airport by our local guide, Honey (and yes, he is as sweet as his name suggests), and our driver, Mr. Singh. Because we arrived in the late afternoon, they dropped us off at the Le Meridien Hotel and we got some rest before a big day of sightseeing. 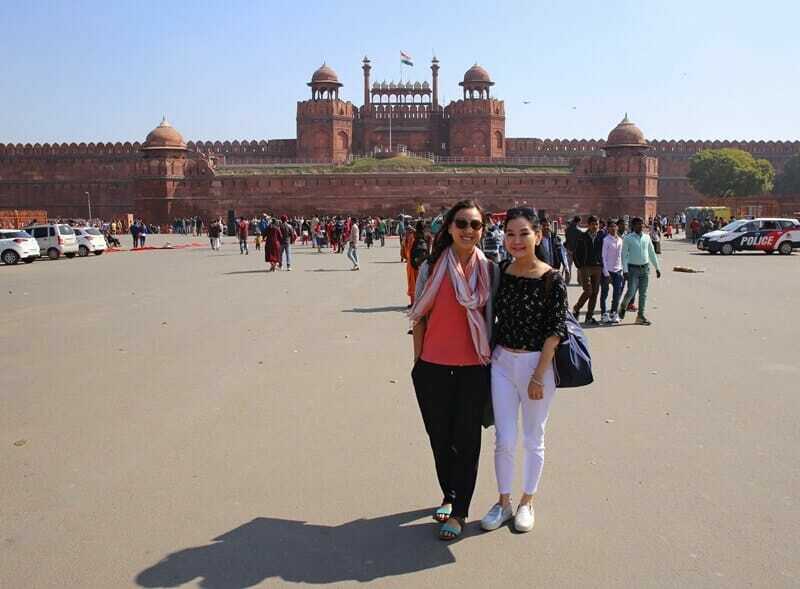 The next day, we were whisked away to check out Delhi’s best sights and landmarks – it is possible to see most of the major sights within one day if you have private transportation and an enthusiastic guide. 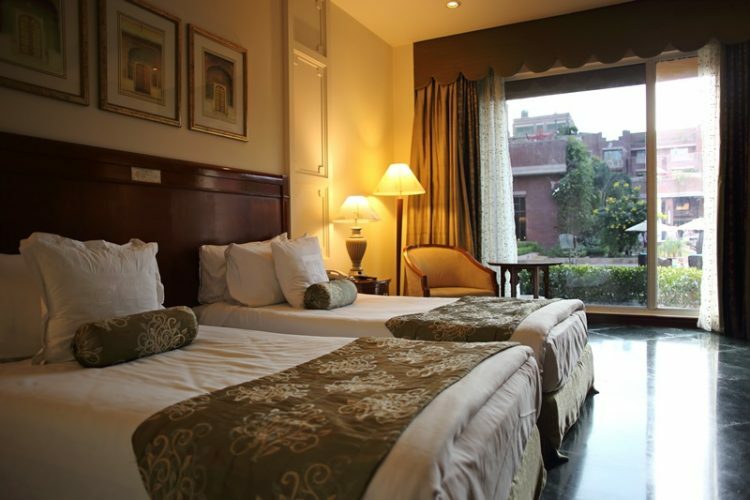 Hotel recommendation in New Delhi: The Le Meridien Hotel is an excellent luxury hotel in the heart of New Delhi. The rooms are spacious and comfortable, and the service is outstanding. Their coffee shop serves up an extensive buffet as well as a la carte options. The bar on the top floor offers stunning city views across Delhi. Click here to book your stay at the Le Meridien, or click here for other highly rated hotels in New Delhi! This mosque towers over Old Delhi and can be spotted from blocks away. It is an active mosque that can accommodate more than 20,000 people during prayer time. 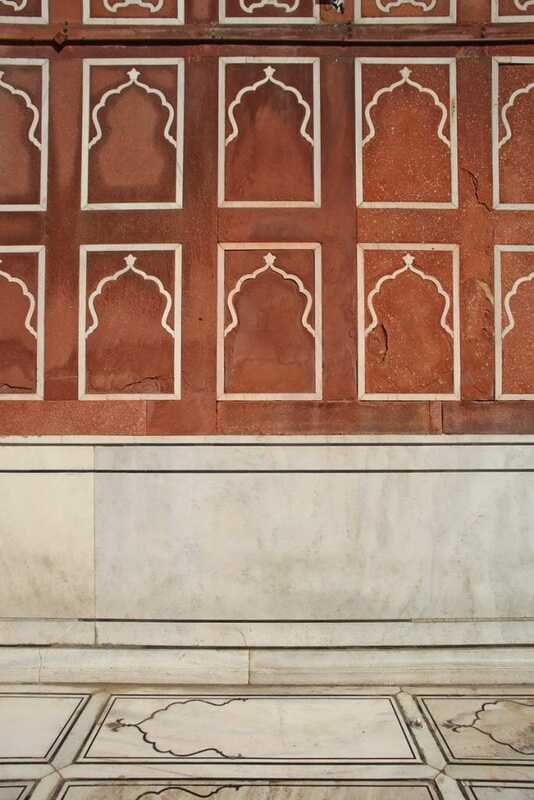 Built from red sandstone and white marble, the mosque was commissioned and built by Mughal Emperor Shah Jahan and completed in 1656. You cannot enter with shoes, so you will need to leave your footwear outside with a “shoe minder” and tip him 10 Rupees per pair when you leave. 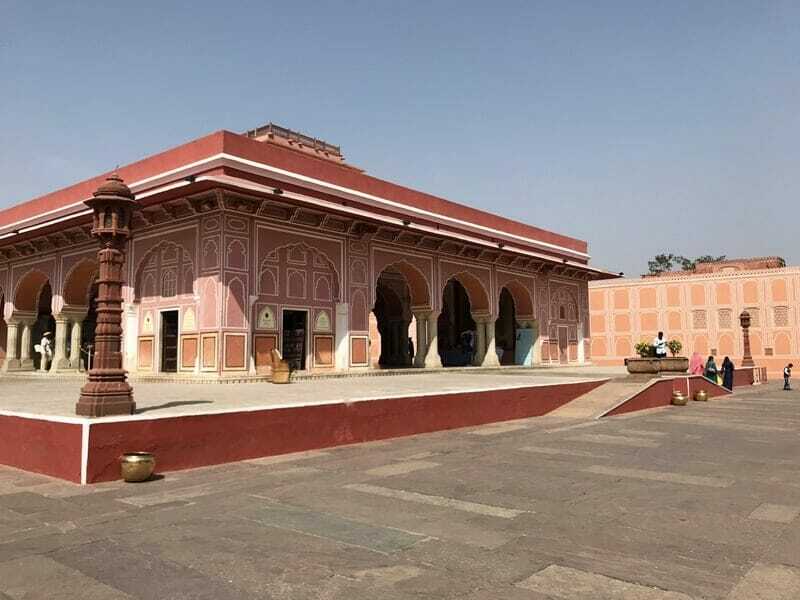 There is no entrance fee, but there is a fee for cameras and phones (300 Rupees); a ticket is given to you when you enter and will be checked by the guards inside. If you are a female you will need to rent and wear a large robe to cover your clothes/shoulders/knees before entering (free of charge). The mosque is open from 7 am to noon, and again from 1:30 PM to 6:30 PM. 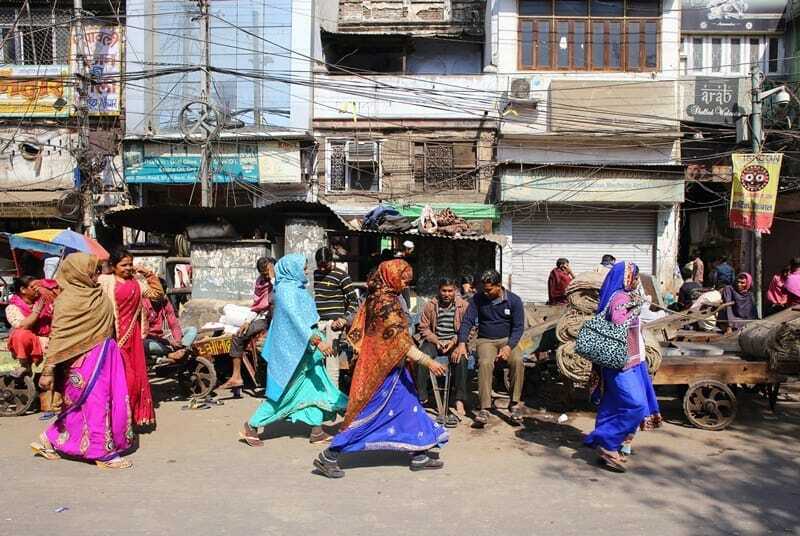 The Chandni Chowk (or Moonlight Square) is one of the oldest and busiest markets in Delhi and is not far from Jama Masjid. 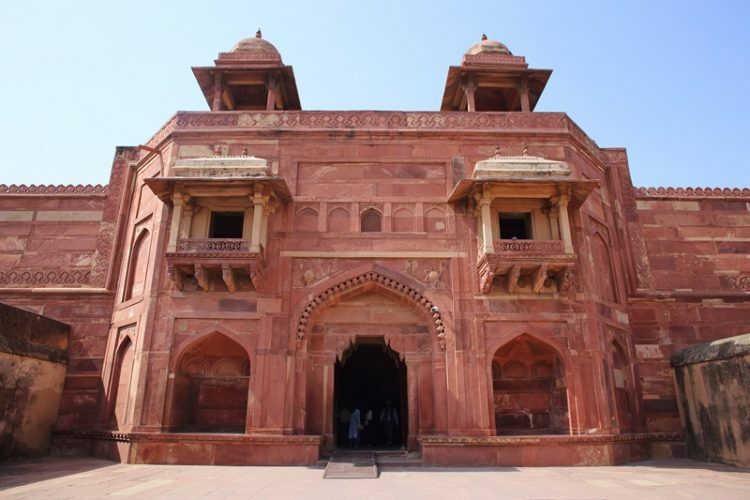 It was built by the same Mughal Emperor and designed by his daughter. 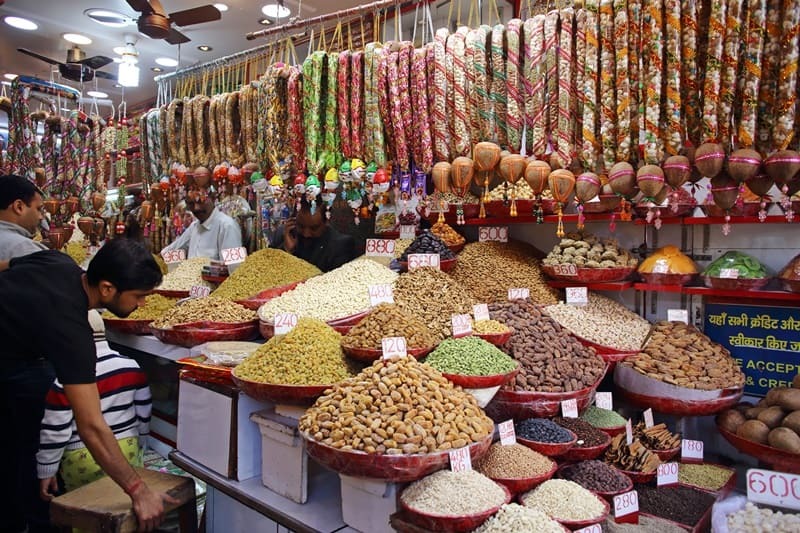 The bazaar is hectic and colourful, and you can find everything from spices and jewelry to saris and books. If you want to purchase some local spices and teas to take home just ask your guide where the best shops are. 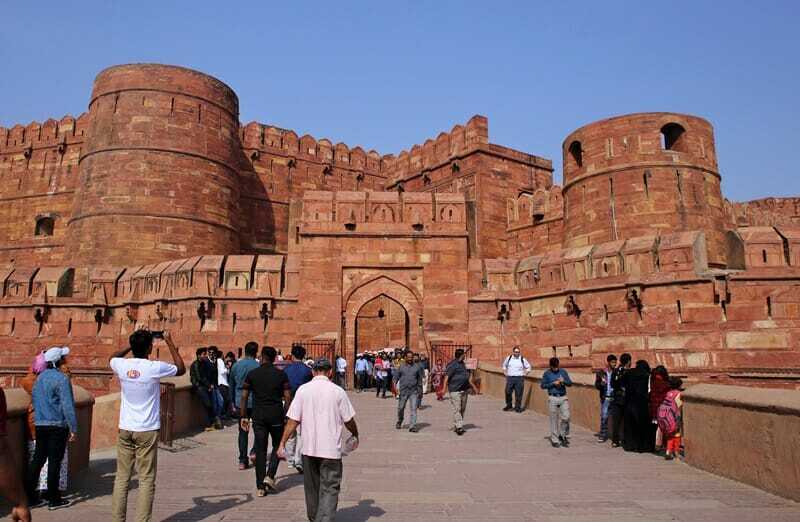 The Red Fort is similar in architecture to Agra Fort, so guides may recommend that you skip it if you’re heading to Agra next. It’s worth a quick stop in my opinion. Its impressive perimeter was built to keep out invaders and once even had a moat with crocodiles and poisonous snakes in it. 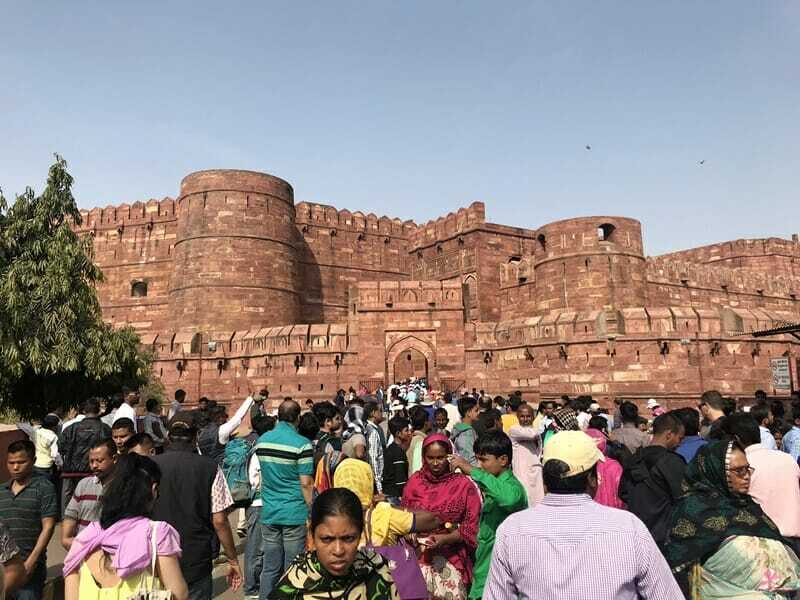 The fort was occupied until the mid-1850s by Mughal emperors and is now the location for the Prime Minister’s annual speech to the nation on India’s independence day. The fort is open from sunrise to sunset and closed on Mondays. The fee to enter is 500 Rupees for non-Indians. Although this wasn’t on our original itinerary, it is quite possibly one of my favorite spots that we visited in Delhi. Our guide took us here as he quickly realized that I hated crowds and wanted to get slightly off the beaten path. It can be reached easily and is free to enter – the entrance is located deep within a lane way off the main street, and was once used for access to water. 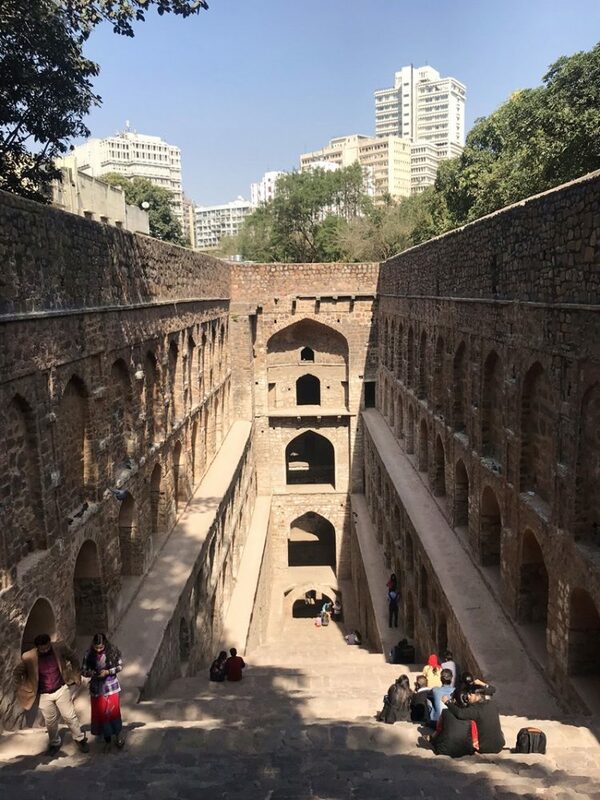 You can walk down the steps and along either side of the giant arches, and even peer into the deep well that once held fresh water for the local community. The monument is open from 7 AM to 6 PM and entry is free. 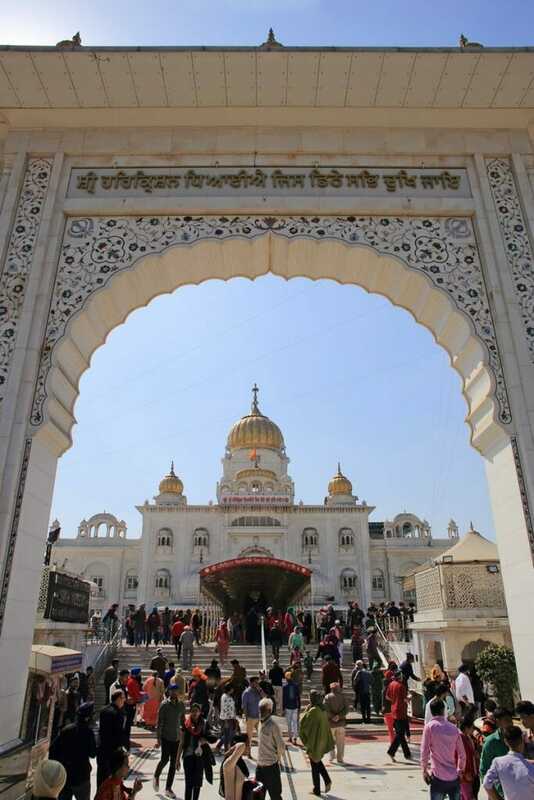 From the very first moment that you arrive at Gurudwara Bangla Sahib, you can feel the air buzzing. 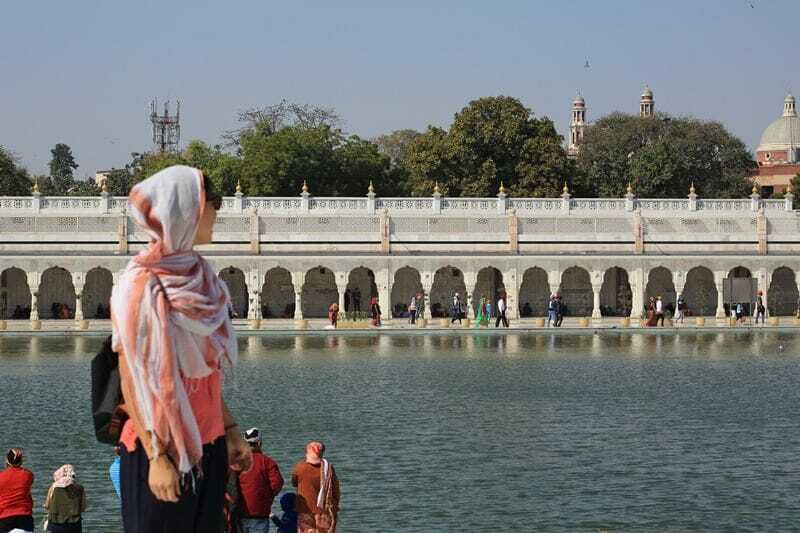 It is one of the most fascinating places to visit in Delhi as it comprises a working temple with daily prayers and rituals being performed, a stunning outdoor holy pool and community dining hall. 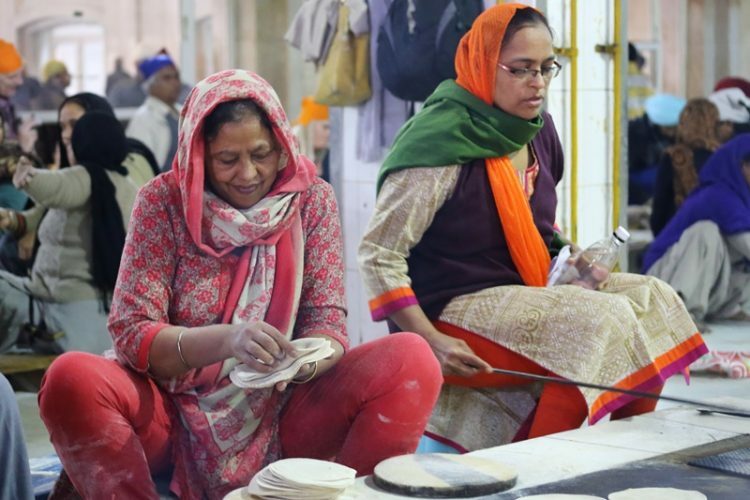 The dining hall feeds thousands of people for free, and is run by staff and volunteers who spend their day preparing chapatti, dal, rice and much much more. There is no entrance fee but you must wear a head scarf, cover your shoulders and take your shoes off before entering. 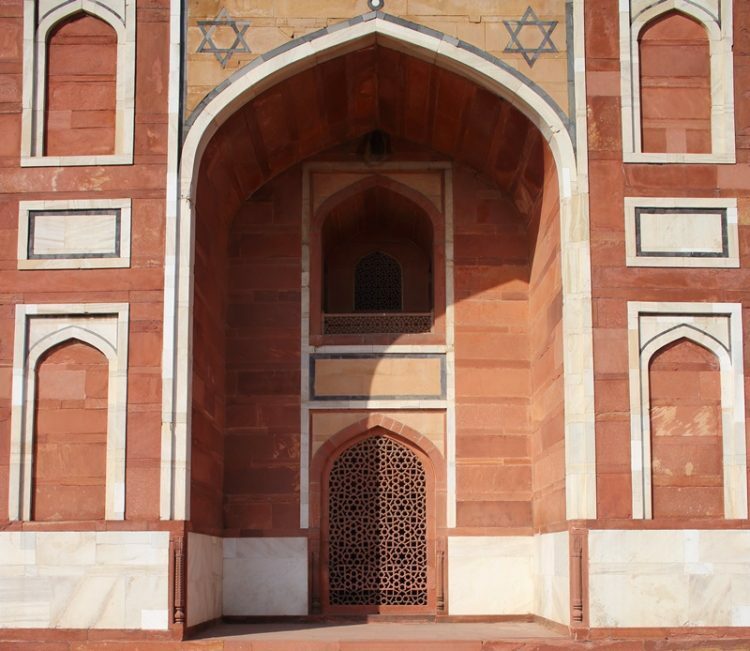 Humayun’s Tomb is perhaps one of the most popular and famous landmarks in Delhi. 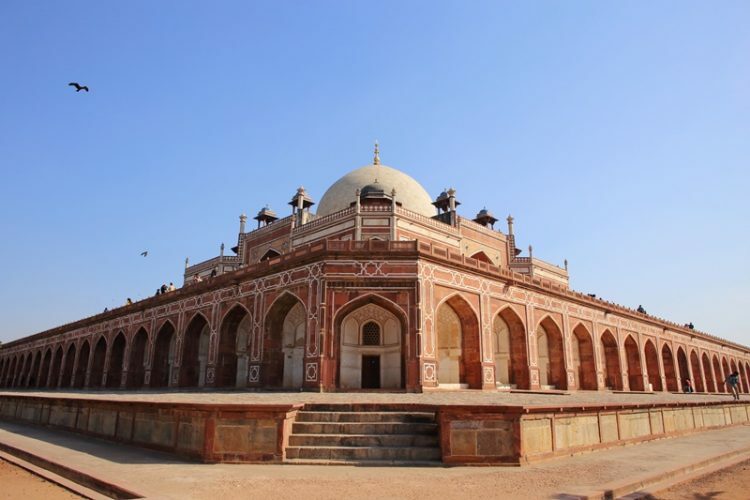 This UNESCO World Heritage Site is the mausoleum of Mughal Emperor Humayun and was completed in 1572 AD. 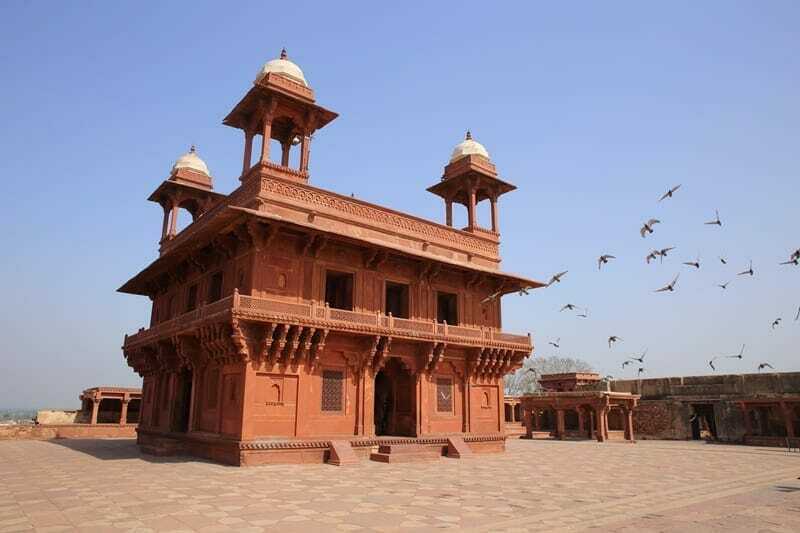 The structure was constructed using red sandstone and has been restored over the years. 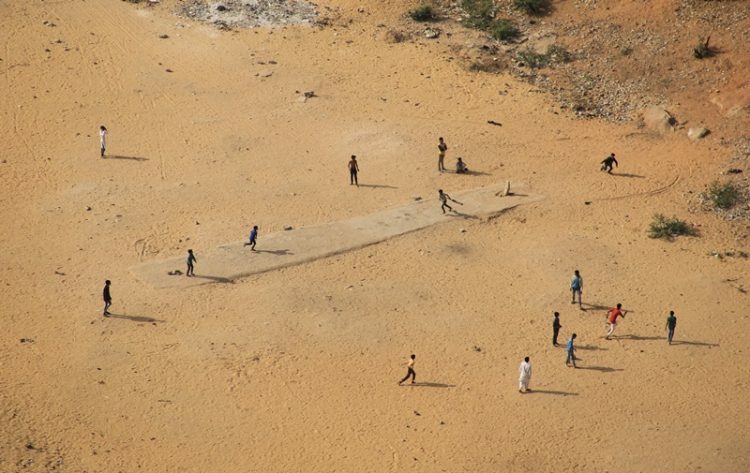 There is an entrance fee of 500 Rupees for non-Indians and is open from sunrise to sunset every day. The spaceship-looking temple is one of the newer additions to Delhi’s tourism landscape. The temple was completed in 1986 and was designed to resemble a lotus – a symbol common in many different religions. As such, the temple is also open to devotees of any faith, race, gender or nationality. There is a security check as you enter so the lines can be substantial, but the lines tend to move quite quickly (there are separate ones for males and females). The temple closes every Monday, and is open from 9 AM to 5:15 PM in the winter/6:45 PM in the summer. There is no entrance fee. In such a hectic city like Delhi it is a relief to find some open space filled with greenery. 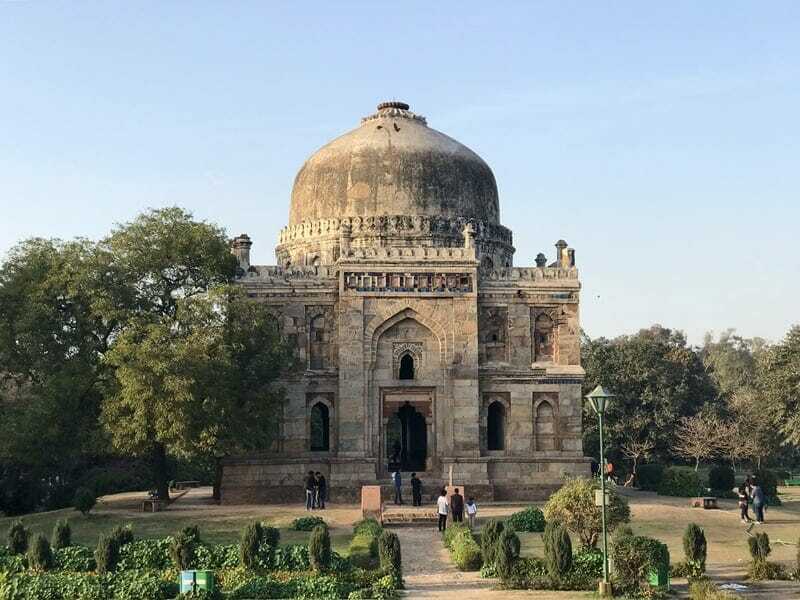 Lodi Gardens doesn’t just have flowers on offer though – it also contains several architectural structures including the tombs of Mohammed Shah, one of the last rulers, as well as Sikander Lodi, the last Sultan of Delhi from the Lodi dynasty. One of the best things about Lodi Gardens is that there are almost no other tourists around! 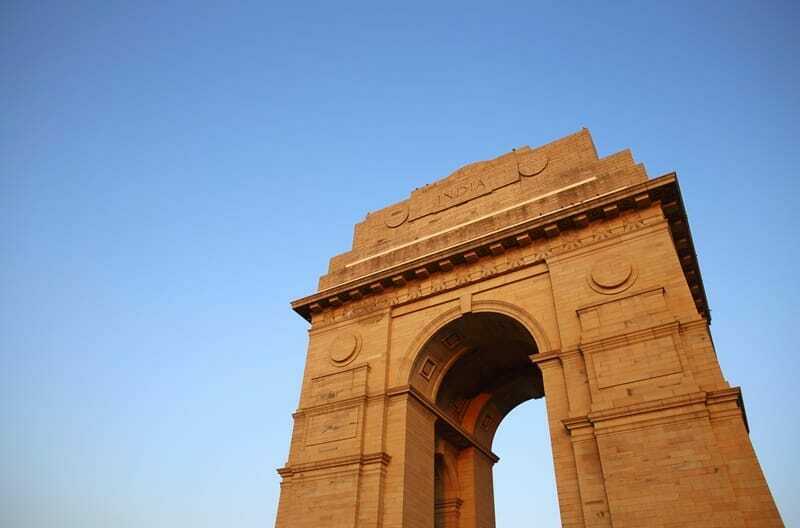 Perhaps one of the most recognizable landmarks in Delhi, India Gate is a war memorial dedicated to 70,000 soldiers who died in WWI. The gate is a popular destination for locals and there are several stalls here selling street snacks. The best time to visit is during sunset or early evening as the gate is illuminated with the colours of the Indian flag in the evening. There is no entrance fee. Jaipur is a 4-5 hour drive from New Delhi. The highways are relatively clean but expect some crazy driving and traffic as you exit the city. 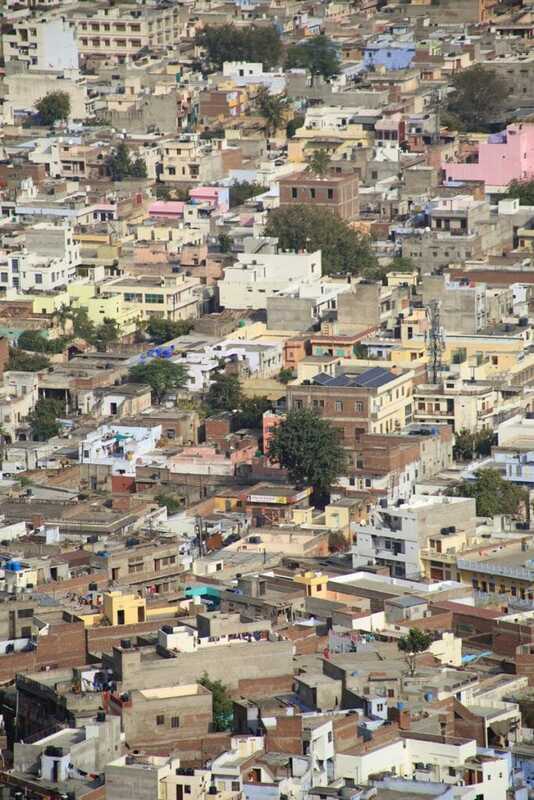 Jaipur is the capital of Rajasthan state and was founded by Maharaja Jai Singh II in 1727. Jai Singh was known to be a very wise ruler and consulted with town planners when establishing the city; he was also an avid astronomer and led the creation of observatories which are still used to this day. 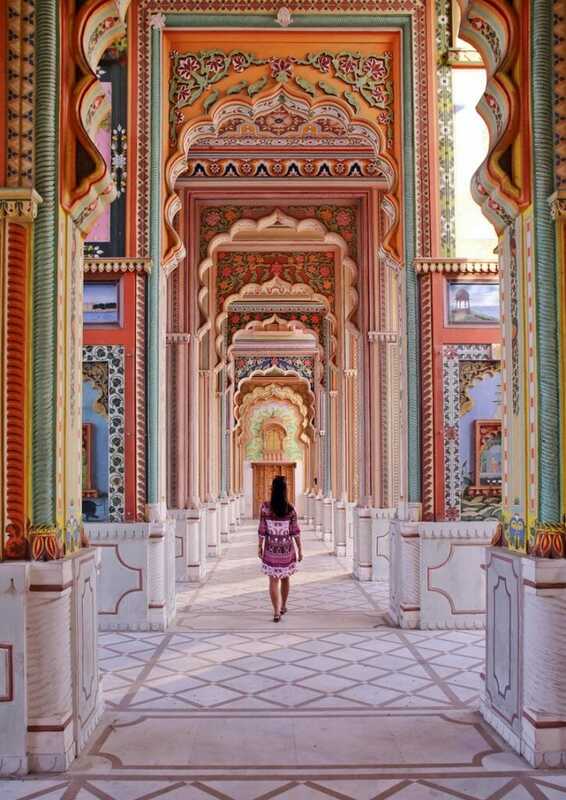 Jaipur is also known as the “Pink City”, as a portion of the city was painted a shade of pink (and has since been repainted every year) to welcome the Prince of Wales from Britain. The city is rich in culture and beautiful architecture, and I could have easily spent a few more days here. 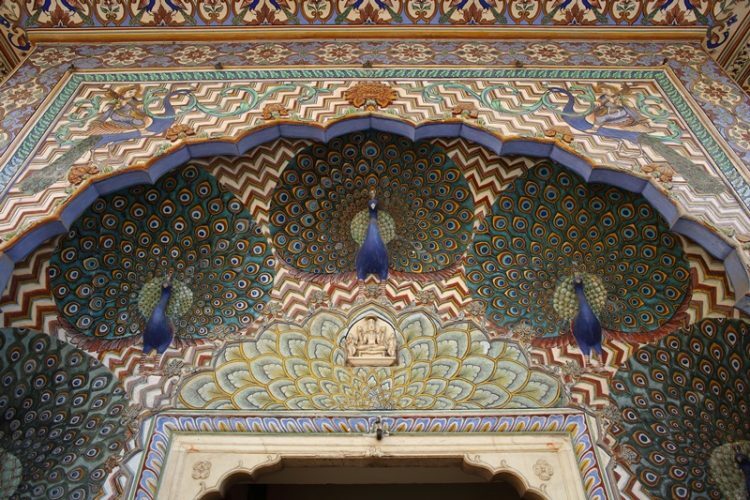 If you are planning a trip to Jaipur, I would recommend staying a minimum of two nights. While you’re there, don’t skip a drink or two at Bar Palladio, an extremely photogenic and beautifully designed bar/restaurant. You can’t take photos with your camera, but they do allow photography using your smartphone. Hotel recommendation in Jaipur: The ITC Rajputana is one of the best luxury hotels in Jaipur and I would highly recommend that you stay here if you get the chance. 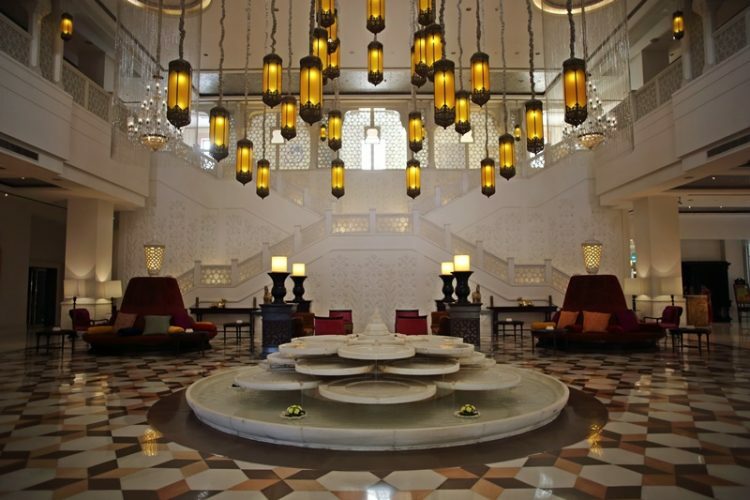 There is an excellent pool, friendly staff, beautiful rooms and stunning Rajasthan-inspired decor throughout the hotel. ITC Rajputana also has a multi-faceted responsible luxury program in place which you can read more about here. Click here to book your stay at the ITC Rajputana, or click here for other highly rated hotels in Jaipur! 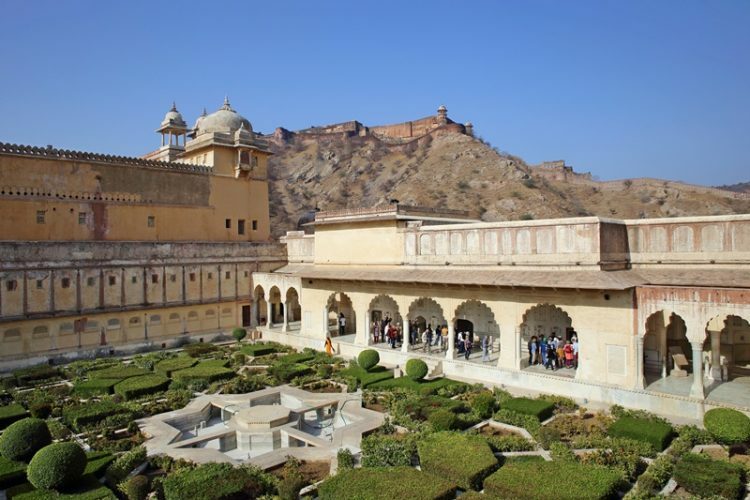 Amber Fort is located approximately 20-30 minutes by car from Jaipur city, and you should try to get there before 9 am so that you avoid the crowds. 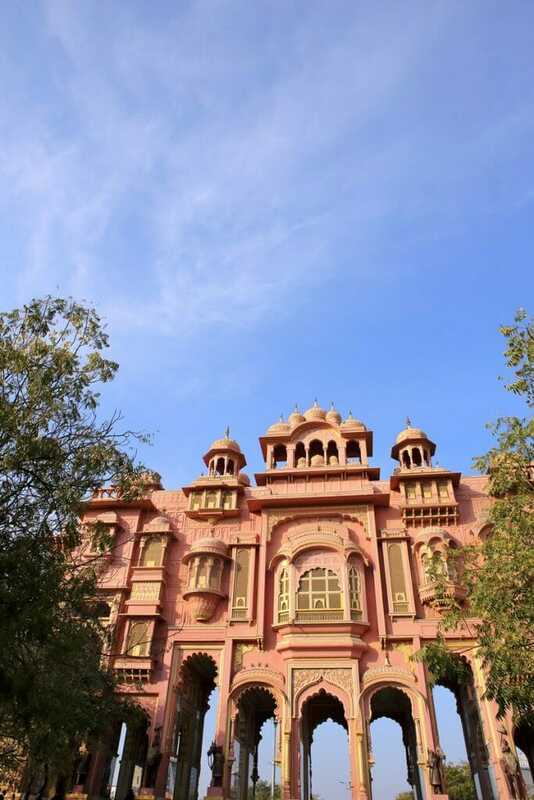 It is a fascinating blend of Hindu and Muslim architecture and was built using red sandstone and white marble. You can easily spend an hour or more here, wandering from courtyard to courtyard. The flow of people is managed fairly well, so you don’t tend to get bottleneck situations. The views from Amber Fort are stunning, and you can see parts of the fort wall from the various viewpoints around the palace. Jai Mandir, Sheesh Mahal, Sukh Niwas, Ganesh Pol and Temple of Kali are some of the prominent areas of interest within the complex. 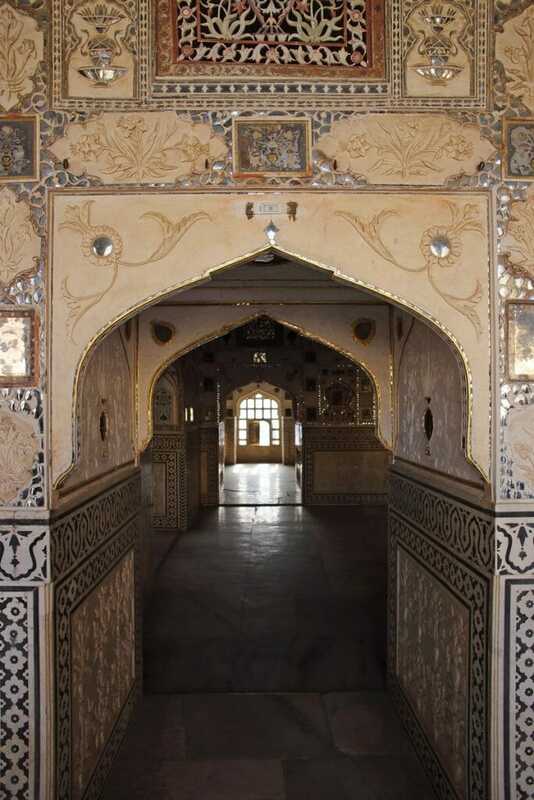 Make sure your guide tells you the story of Sheesh Mahal, or the Hall of Mirrors. It is said that the queen was fond of sleeping under the stars, but it wasn’t allowed for women to do that back in the day. Instead, the Maharaja built this room full of mirrors so that any light would be refracted and the room would shimmer like a sky full of stars for his queen. One thing to note is that almost every tour operator will include an elephant ride up to the fort in the proposed itinerary. Elephants are not made for riding and have to be tortured and trained for these types of activities – please don’t support animal abuse by telling the tour operator that you want to opt out of this, and would rather drive up to the fort (which is also much quicker!). The Amber Fort is open from 8 AM to 5:30 PM and a ticket costs 500 Rupees. After you finish exploring Amber Fort, head towards Panna Meena Ka Kund, a beautiful stepwell just minutes away from the fort. The stairs down to the well are in a zig-zag pattern and are extremely photogenic. You’re not supposed to walk down the steps, but the security guard can be convinced to let you in if you ask nicely (and pay him a small fee). Also built by the Maharaja Jai Singh II, Nahagarh Fort is an underrated landmark in Jaipur and shouldn’t be skipped in my humble opinion. 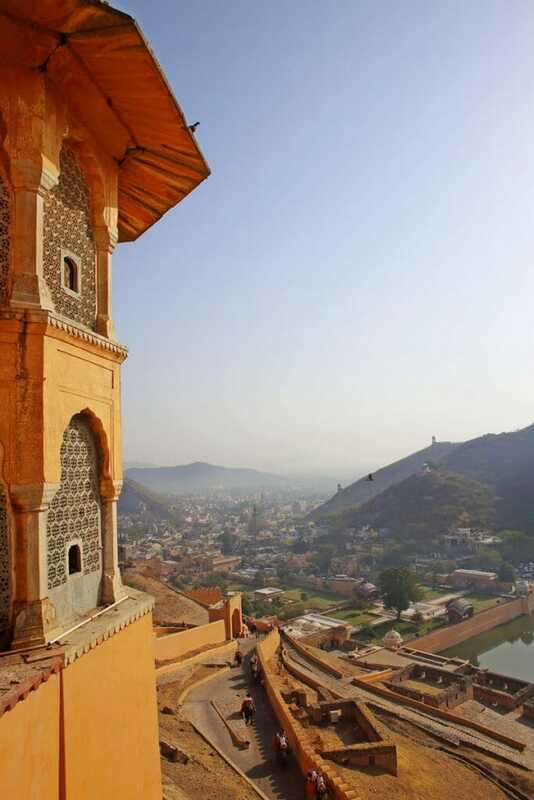 The entrance fee is 200 Rupees and offers up some of the most incredible views across Jaipur. 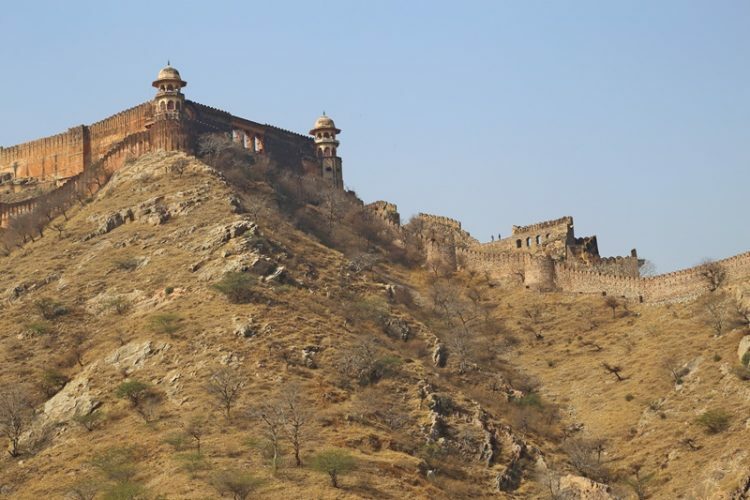 Along with Amber Fort (and Jaigarh Fort), it served as a defensive stronghold for the city. Make sure you make your way up to the terrace where the panoramic views (and monkeys) will stun you! The Fort is open from 10 AM to 5:30 PM. 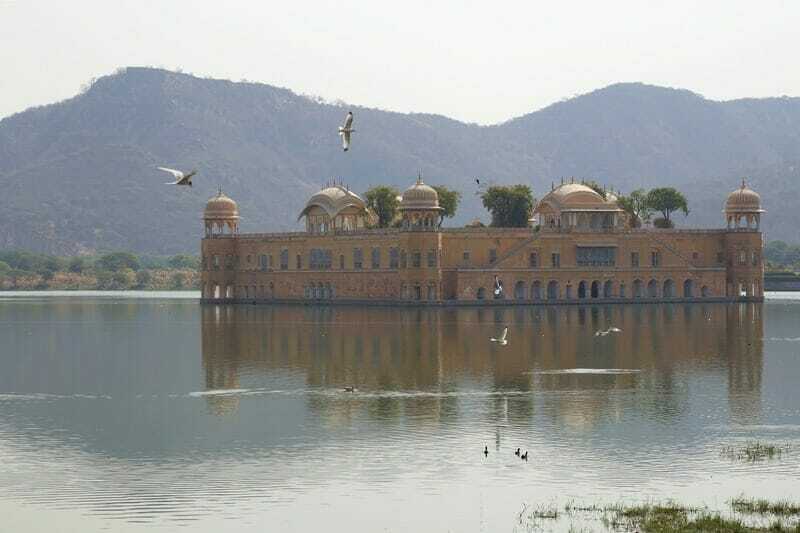 Jal Mahal was built in the late 18th century and is located halfway between Amber Fort and the old city of Jaipur. Although you are no longer allowed inside the palace, you can view the palace from a roadside pathway. It’s a majestic and unique palace that is worth a quick photo stop. 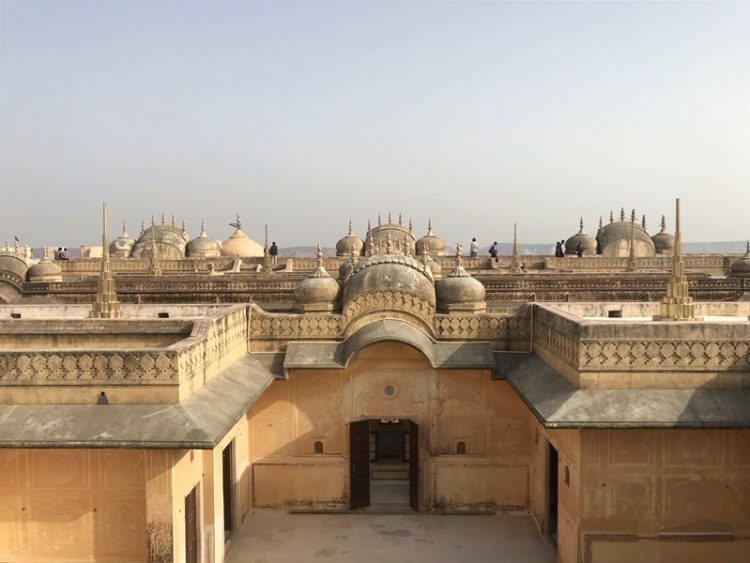 Though the Royal Family of Rajasthan no longer has any administrative or legislative powers, they still own and occupy the City Palace. 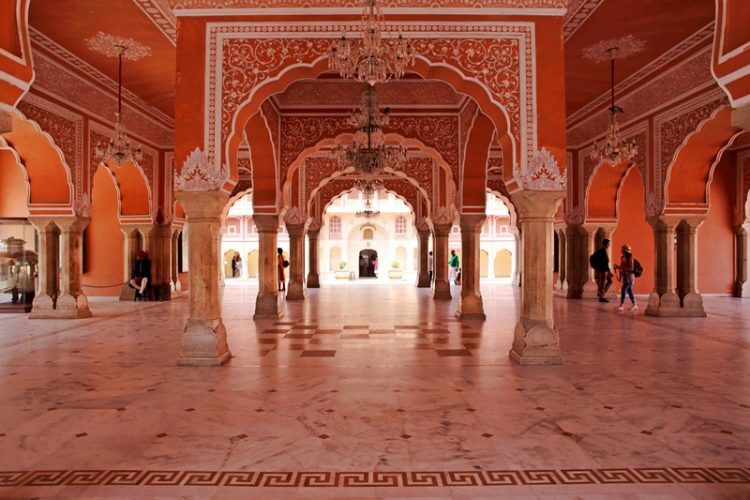 The palace was built between 1729 and 1732 after Jai Singh II moved the capital from Amer to Jaipur. The Mughal style palace is painted pink, and offers several courtyards, museums as well as the famous four small gates that represent the four seasons – the northeast Peacock gate (autumn), southeast Lotus gate (summer), the northwest Green gate (spring) and Rose gate (winter). There are portions of the palace in which you are not allowed to take photos. Expect to spend 45 minutes to an hour here. The City Palace is open from 9:30 AM to 5 PM every day and there are a variety of tickets starting at 500 Rupees for non-Indians. 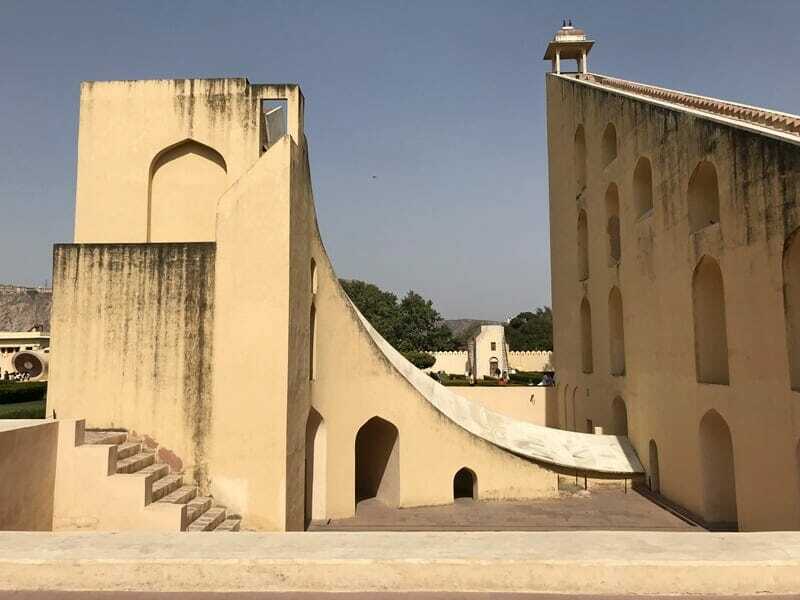 Steps away from the City Palace is Jantar Mantar, one of several royal observatories built by Jai Singh II. It features the world’s largest stone sundial (27 metres tall) as well as other astrological instruments, some of which are still used to this day. Our guide told us that when people are born, their star signs are combined with a few formulas by astrologers to dictate 36 qualities that the person will possess. He told us that in Hindu marriages, the bride’s and groom’s qualities are matched before the wedding to see if more than 50% of these qualities are compatible, otherwise the marriage may not go well! Jantar Mantar is open from 9 AM to 4:30 PM and entry costs 200 Rupees. 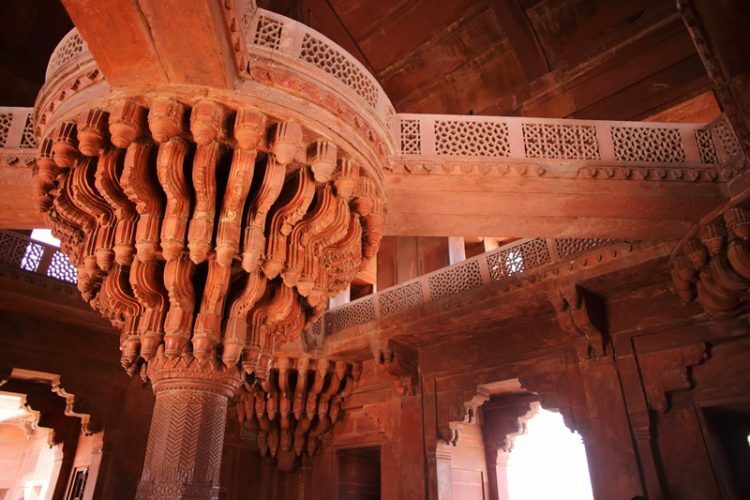 The Palace of Winds was built in 1799 out of red and pink sandstone. The five-storey facade has small windows to allow royal ladies to observe everyday life and festivals without being seen, since they were not allowed to appear in public without their faces covered. 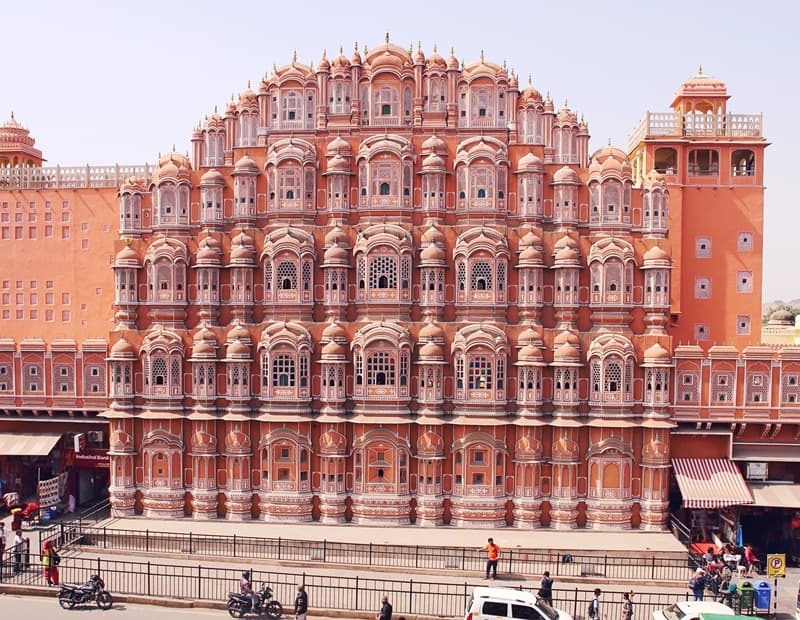 What you see from the street is the back of the structure, but the best view of the Hawa Mahal is actually from the building across the road. 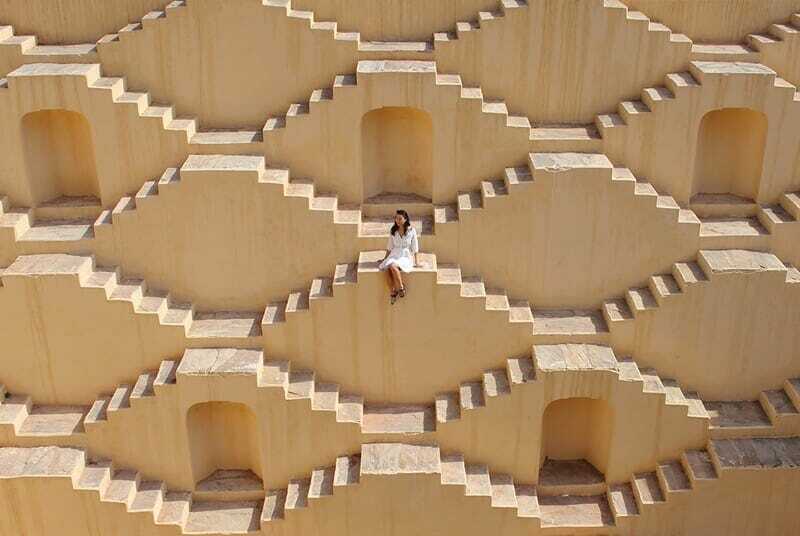 Take the stairs up to the second storey to a small balcony area where you can view the Hawa Mahal front on. If you have time to spare, stop at Patrika Gate at Jawahar Circle, outside the city center. This gate has been made popular by Instagram and photographers flock here to photograph its colourful arches. Though you’d think it has some sort of significant history, it was actually built rather recently by one of the local media companies – oh well, it’s still beautiful! 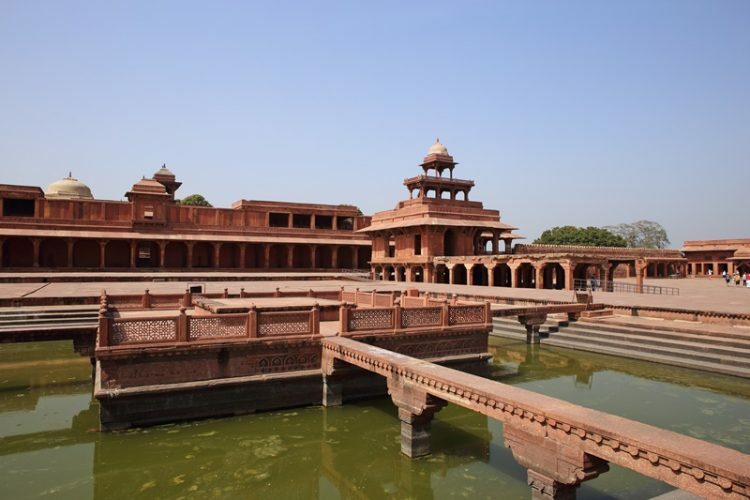 Approximately mid-way between Jaipur and Agra is the abandoned city of Fatehpur Sikri. After a 3 hour drive from Jaipur, you will reach what was once the capital of the Mughal empire. 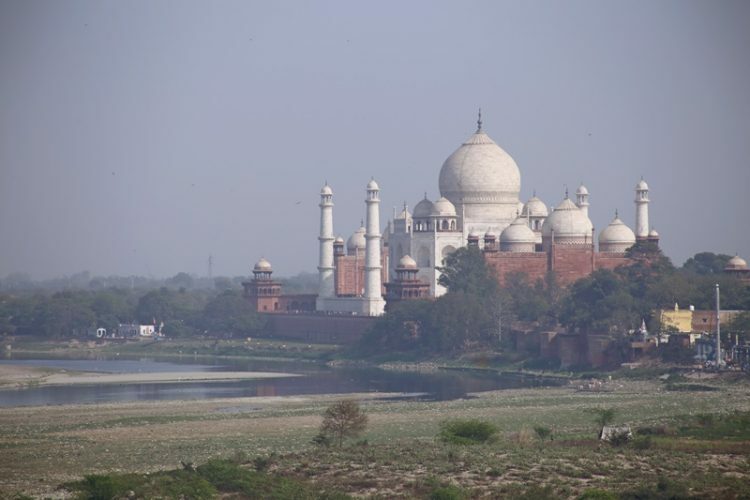 It had to be abandoned due to a lack of water, and the capital was then moved to Agra by the then-emperor, Akbar. By all accounts he was a wise ruler (despite not foreseeing a lack of water), and was also a secular emperor who often hired people for positions of power based on merit and talent rather than religion or background. He had 3 queens (one Hindu, one Portuguese and one Turkish), each of which had their own chambers within the palace, and built a memorial tower to his favorite elephant after it died. Spend some time wandering around the complex and check out the various chambers, halls and towers. The highlights for me were the Panch Mahal, where the queen used to salute the sun in the mornings, and the Hindu queen’s palace. 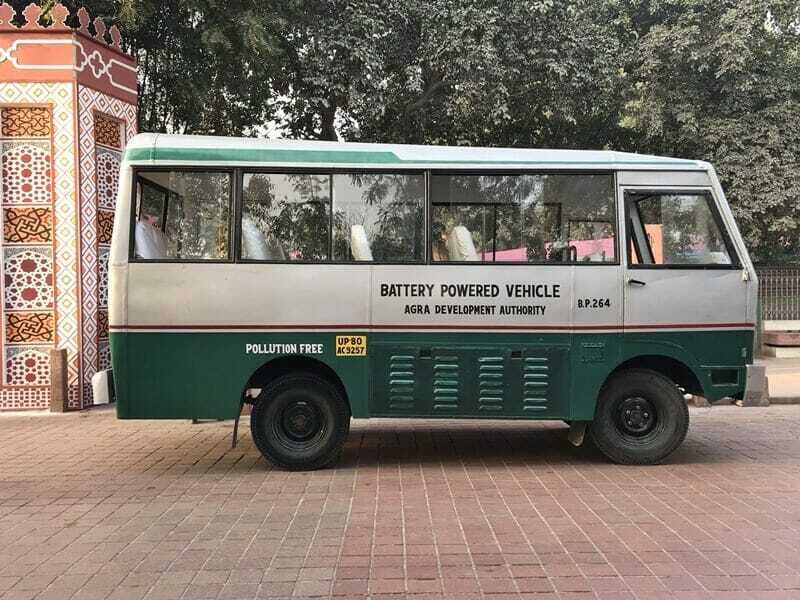 In order to get to Fatehpur Sikri you will have to take an electric vehicle from the parking lot up to the city (a quick five-minute ride). 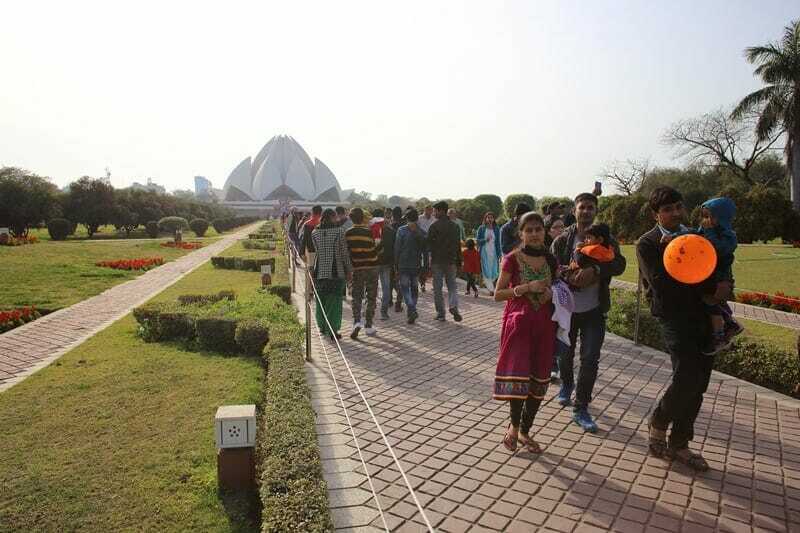 The city is open from sunrise to sunset and tickets cost 510 Rupees for non-Indians. Agra is perhaps most famous for the Taj Mahal, or “Crown Palace”. There’s not too much to see in Agra beyond Agra Fort and the Taj Mahal, so one night or so is plenty. 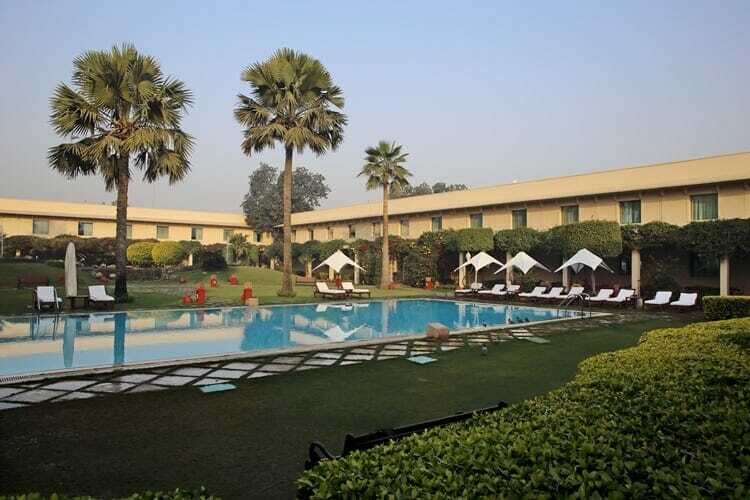 Hotel recommendation in Agra: Please do yourself a favour and book yourself into the Trident Agra. I have been fortunate enough to experience outstanding service at various different hotels around the world, but can truly say that the staff at the Trident Agra blew my mind with their level of hospitality. The rooms are beautiful and comfortable, there is an outdoor pool and gym, and the restaurant serves up some of the most tasty dishes. We had some of our best meals in India at the Trident Agra. Click here to book your stay at the Trident Agra or click here for some other highly rated hotels in Agra. 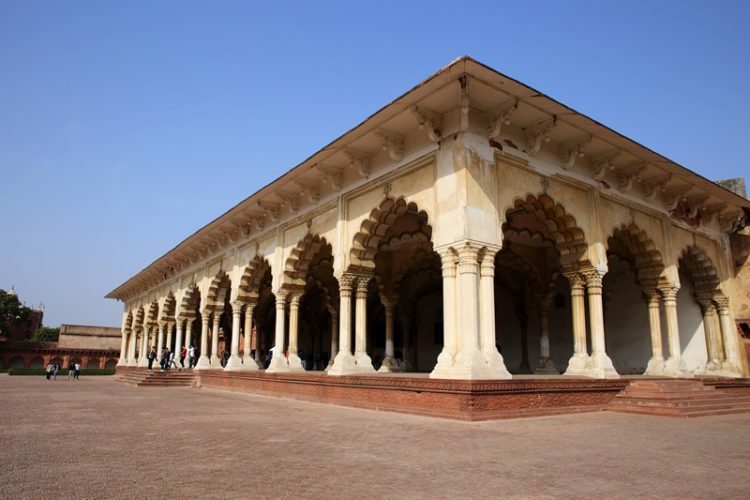 Agra Fort is a stunning complex that was built in the 16th century and was once home to the Mughal emperors. Today the fort is a popular UNESCO Heritage Site that welcomes thousands of visitors each day. Akbar (the ruler who moved the capital from Fatepuhr Sikri to Agra) had a grandson, Shah Jahan, and his name may ring a bell as he is the one who built a “little” landmark known as the Taj Mahal in memory of his late wife. Shah Jahan built a palace chamber and often gazed at the Taj Mahal from this room – it is also rumored to be where he died, still looking upon his wife’s tomb. Agra Fort is open from sunrise to sunset. 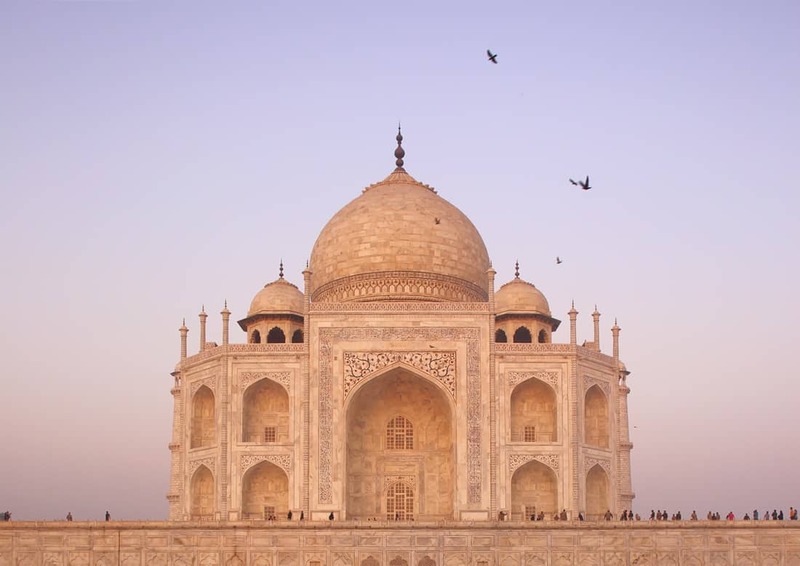 Arguably the “Crown Jewel” of the Golden Triangle, the Taj Mahal is one of the most beautiful monuments of love and more than 30,000 people visit the Taj every day. The Taj Mahal took 22,000 people 22 years to build and was completed in 1632. 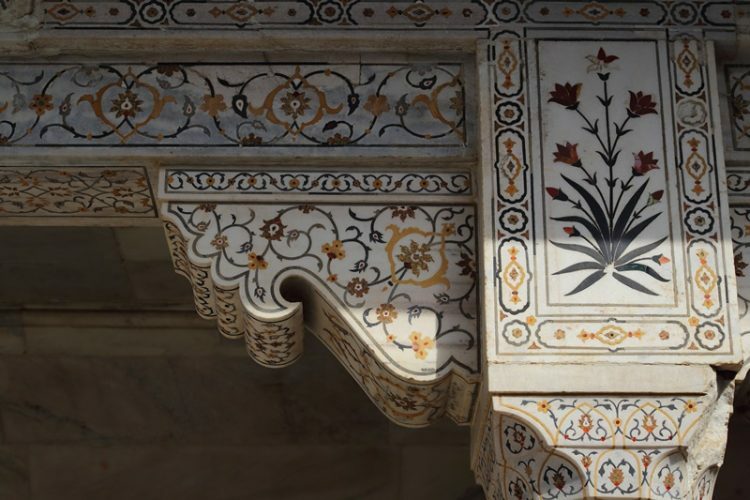 It was built using pristine white marble which is cleaned regularly with mud and lemon juice so as not to damage the stone. It is said that Shah Jahan met his wife, Mumtaz Mahal, at a local market where she was selling jewellery, and soon they had more than a dozen children. 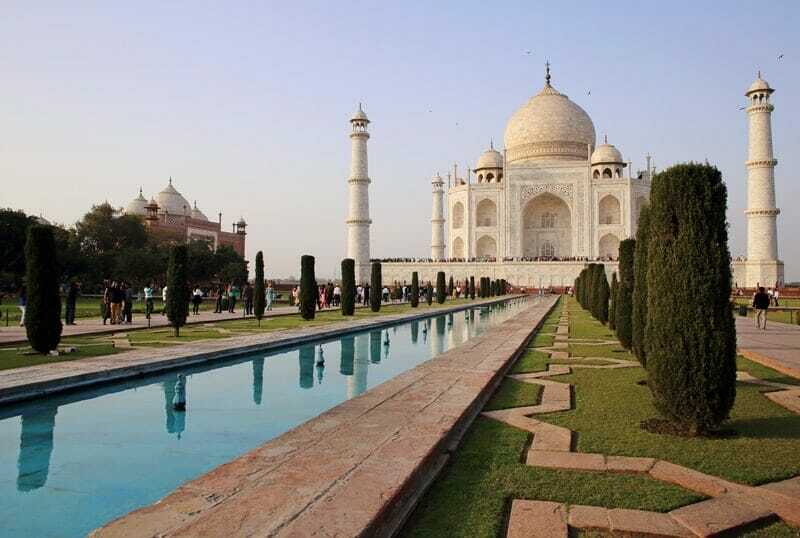 The queen died while delivering their 14th child, and Shah Jahan built the Taj Mahal as a memorial to her. The Taj Mahal is open from sunrise to sunset and is closed every Friday. Many things cannot be brought into the complex – keys, food, books, paper, tripods etc. It’s best to just bring your camera, phone and some cash, leave everything else in the car or in your hotel room. You will need to ride in an electric vehicle in order to approach the entrance. 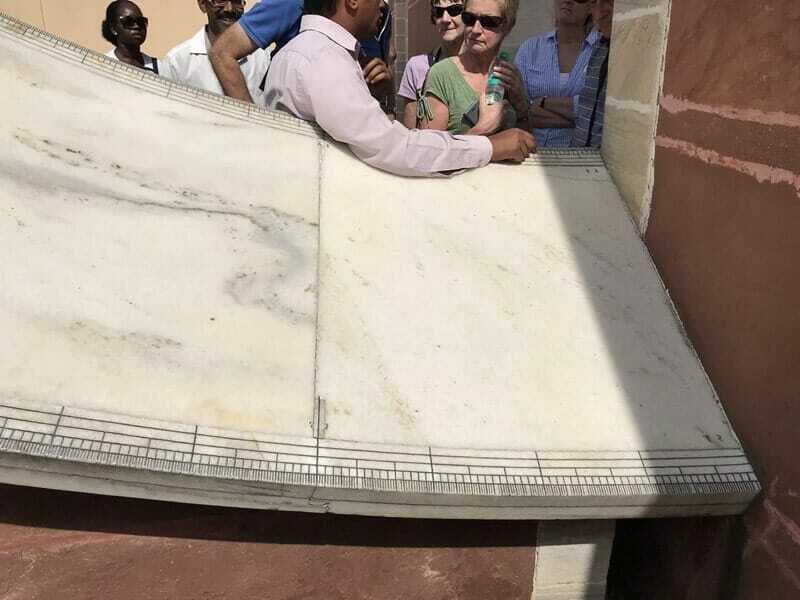 The entrance fee is 1000 Rupees for foreigners and includes shoe covers (which you must wear to enter the mausoleum area) and a bottle of water. The entrance into the mausoleum is on the lower level on the left hand side – join the express queue instead of the long queue which wraps around the dome. 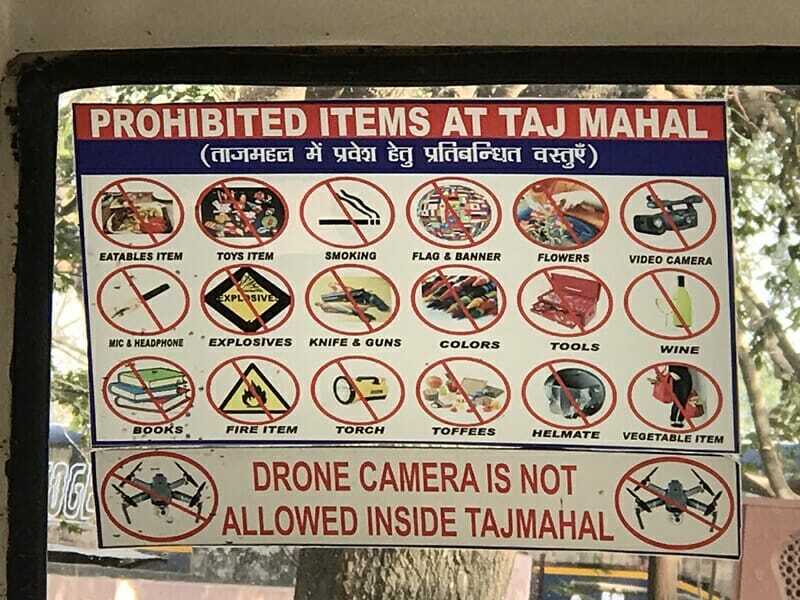 Photos are not allowed inside the tomb. The best time to visit the Taj Mahal is early in the morning – you should plan to arrive at 5:30 am to join the queue. If you have time, you should visit the Taj Mahal twice – once in the morning for sunrise, and once in the afternoon for sunset. The lighting is incredible at both times during the day. Most of all – be mentally prepared for the crowds. There are hordes of people EVERYWHERE, and it can get pretty nasty. To be very honest, my experience both times at the Taj Mahal (morning and evening) was tainted by how rude and pushy people were – tourists yelling at each other, shoving each other out of the way, local photographers blowing whistles at people to move, it’s all a bit much, really. I knew there was going to be a lot of people, I just didn’t expect everyone to act like neanderthals. If you visit the Taj Mahal, be patient and polite, and wait your turn for photos! That’s it! After an action packed 4.5 days of amazing sightseeing, I was ready for a massive sleep-in. Some people do the Golden Triangle in three days which sounds absolutely insane to me, but it is possible if you’re extremely tight on time. 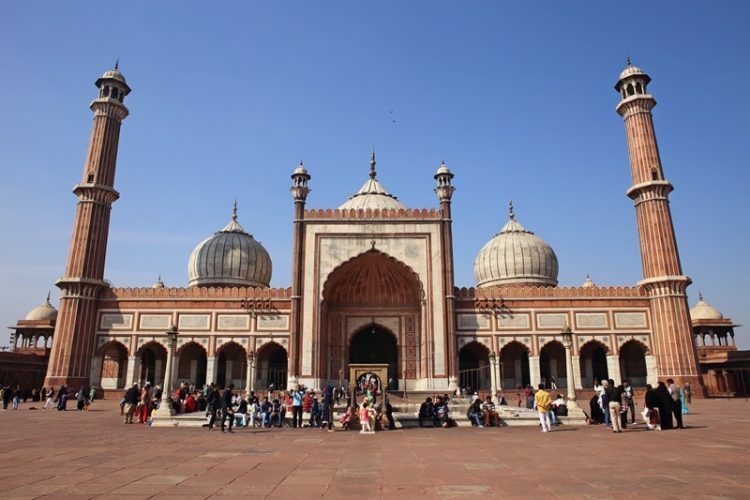 The typical tour will take you through Delhi on the first day and then drive to Agra for the night, to Fatepuhr Sikri, the Taj Mahal and Agra Fort and then Jaipur on the second day, to the sights in Jaipur on day three and then back to Delhi in the evening. So…why should you book with Top Indian Holidays? In my opinion (and many people agree based on TripAdvisor reviews), Top Indian Holidays is one of the best international tour operators in India. The entire staff (booking agent, guides and driver) were incredibly professional and accommodating. 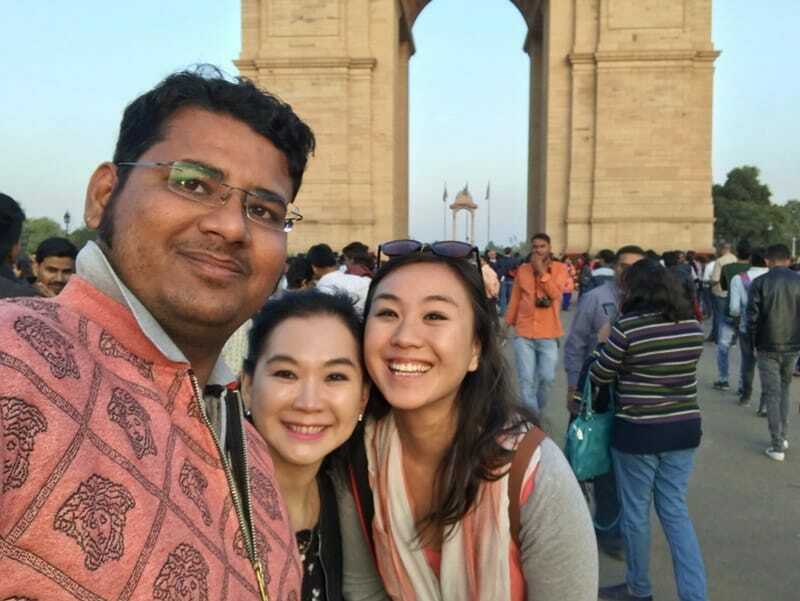 They are flexible and more than willing to work with you on a customized Golden Triangle itinerary (thanks, Vishnu! ), and make every effort to make the trip go as smoothly as possible. For example, Honey in India took us to a few places that were not on the original itinerary, Yuri in Jaipur took us up to Nagahargh Fort last minute, and the owner, Mr. Nand Singh, met us at our hotel in Jaipur so that we didn’t have to visit the office in Delhi to pay our balance. The guides also arranged for tickets to be acquired at each of the landmarks in advance so that we didn’t have to waste any time lining up in queues. You will feel taken care of from beginning to end, and you never feel pressured to visit anything that you don’t want to, unlike many other tour companies. The hotels we were put up in were excellent, and the vehicle and driver that we had for the entirety of the trip were top notch. I never recommend or endorse experiences that I haven’t tried myself, and I can wholeheartedly say that I would love to use Top Indian Holidays’ services again when I next return to India (hoping to visit Udaipur, Jodhpur and Jaisalmer in 2019)! Golden Triangle India tour package price: As I stated at the beginning of this article, we paid US$850 per person for 5 nights/4.5 days through the Golden Triangle with Top Indian Holidays. You can expect this rate to go down if you 1) don’t need an extra night before the tour begins (our flight didn’t land until late afternoon), 2) opt for 3-4 star hotels instead of 5-star properties, or 3) visit the Golden Triangle during the shoulder or off peak season (we visited mid-February, towards the end of peak season). 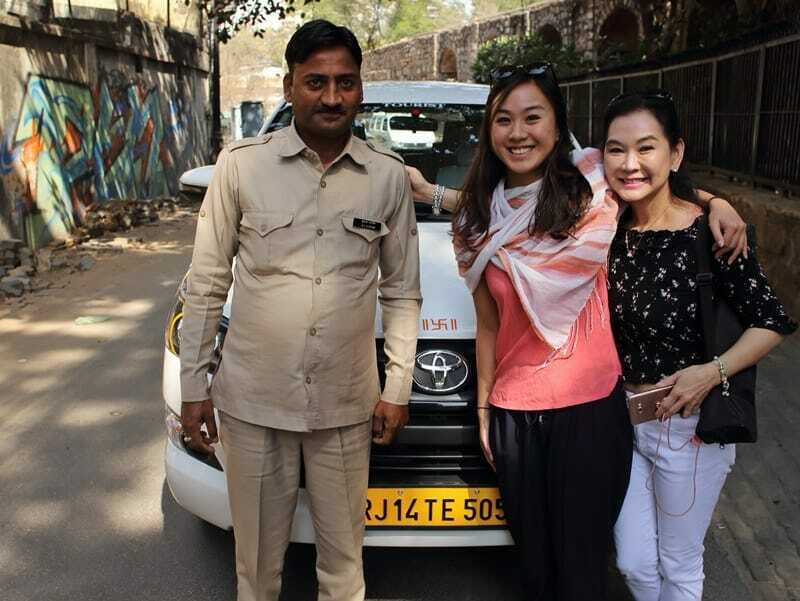 If you are looking for cheap Golden Triangle tour packages, you may want to ask around for a driver-only rate to keep your costs down. Stay in double occupancy non-smoking rooms (+ breakfast). * Almost all of the tour companies that got back to me included an elephant ride in Jaipur. I am vehemently against riding elephants, and it was no issue to simply strike that from the Golden Triangle itinerary. Hotel recommendations: I recommend staying at the Le Meridien in New Delhi, ITC Rajputana in Jaipur and Trident Hotel in Agra. Each property offered comfortable and clean rooms, beautiful decor, excellent meals and outstanding service. Personal expenses such as tips, laundry, telephone bills, beverages. 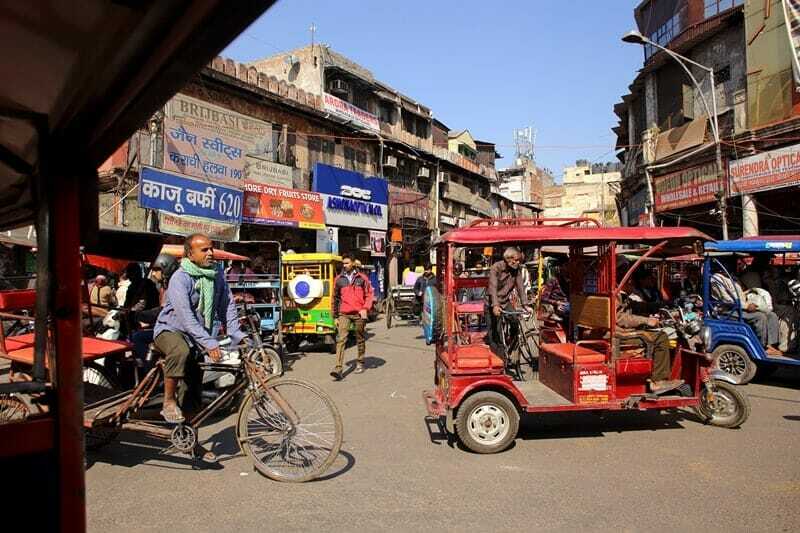 Tips, as always, are not expected but very much appreciated – we were advised by other travelers that most people tip their guides 1000 – 1500 Rupees per day, and their drivers 500 – 1000 Rupees per day. Obviously there is no hard and fast rule on how much to tip, so exercise your own best judgment and only tip what you are comfortable with! 50% of the tour cost is due ahead of your tour start date and can be paid by credit card online, and the balance is due towards the end of your trip. 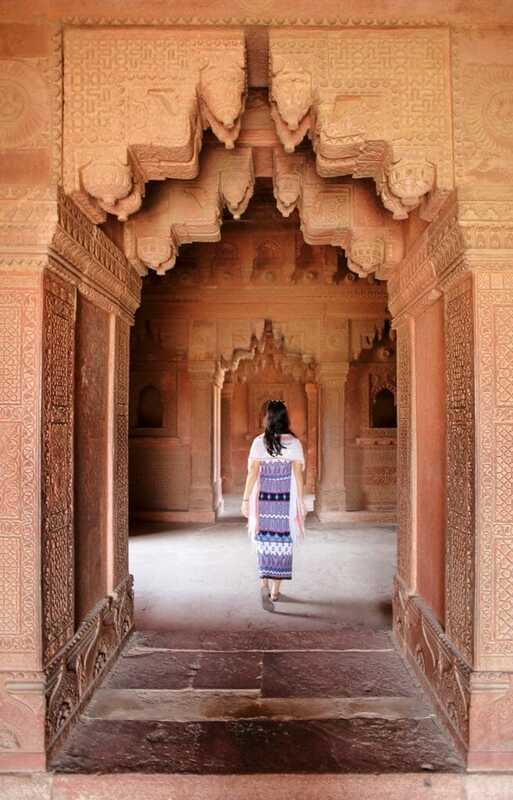 Whether or not you decide to book your private tour with this company or any other company (or even attempt to travel around the Golden Triangle independently), India is a magical country that should be on your bucket list! If you book with another tour operator, make sure that you do your due diligence and read up on reviews ahead of time and that they are responsive over e-mail. If you have to pay a deposit, avoid sending more than 50% of the tour payment before your trip starts in India. Interested in even more India-related travel content? 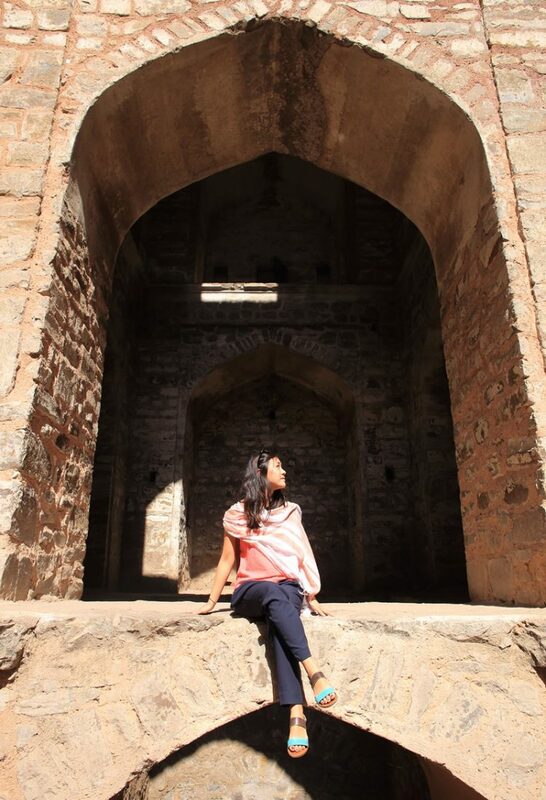 Click here for my India destination guides and travel tips! 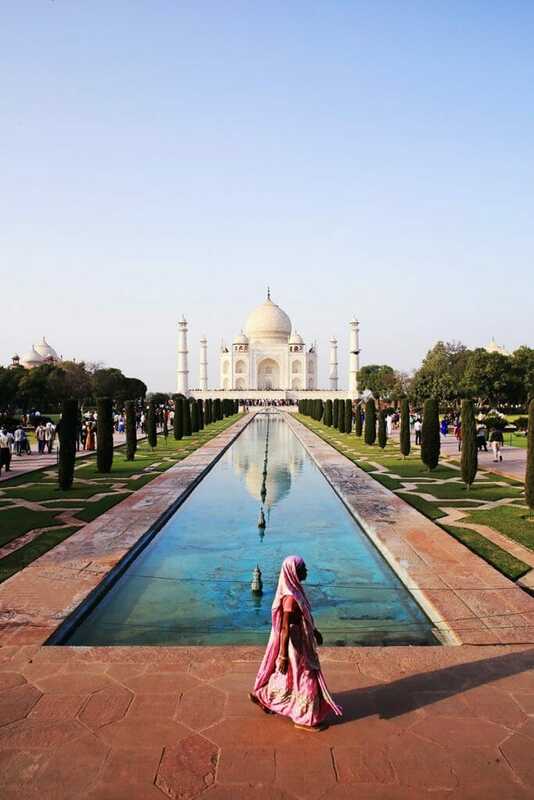 Have you visited India’s Golden Triangle? What were your favorite sights? If you haven’t yet visited, let me know if you have any other questions about planning your trip in the comments section below! Just so you know, this is not a sponsored post. We were paying customers on the tour with Top Indian Holidays, I am not an affiliate and don’t receive any commission from any tours booked. As per usual, all opinions are my own, and you can always expect candid and honest feedback from me (regardless of whether a trip was sponsored or not). This post does, however, contain hotel affiliate links. If you choose to book your stay using these links, I will earn a small commission at no extra cost to you. Thank you for supporting my website by using these links, I only recommend products or services that I have had positive personal experiences with and think you would love too.